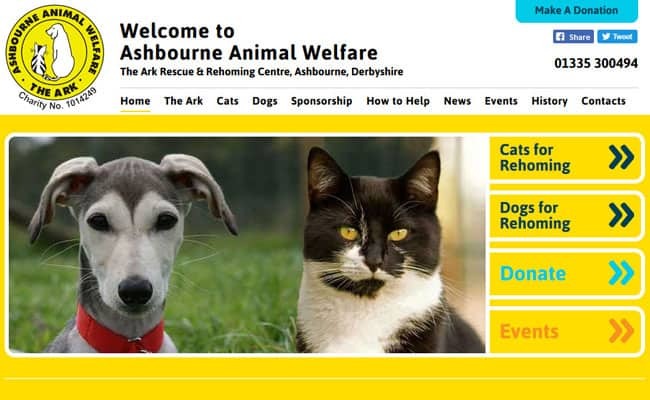 Ashbourne Animal Welfare, Ashbourne – Ashbourne Animal Welfare operates The Ark Rescue and Rehoming Centre in Ashbourne, Derbyshire, for unwanted and stray cats and dogs. We provide all necessary care and veterinary attention , and pets are also neutered prior to adoption. The charity was formed in 1988 and has helped over 7000 animals to date.